Here are the best Nikon D610 lenses for the digital SLR camera with full-frame image sensor announced back in late, 2014. 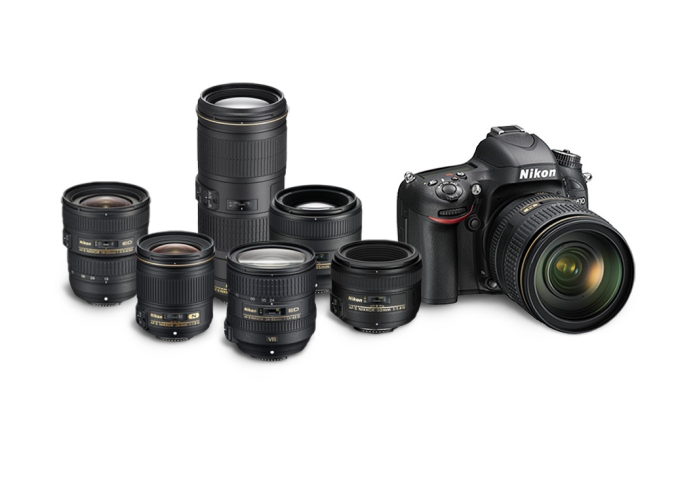 Best lenses for the Nikon D610 DSLR camera are categorized below as standard prime lenses, standard zoom lenses, wide-angle prime lenses, wide-angle zoom lenses, telephoto zoom lenses and macro lenses. Some recommendations for Nikon D610 lenses according to DxOMark ratings listed as separate columns and tables. You can also find some recommendations from us in every section. Here are the best Nikon D610 lenses to choose for. Additionally, Nikon D610 features a 24.3-megapixel FX sensor, an EXPEED 3 processor, ISO 100-6400, dual SD card slot, 39-point autofocus and a 921k-dot 3.2-inch LCD. See Nikon D610 Official Announcement | User’s Manual | Sample Images | D610 vs D810 Comparison | D610 vs D750 | Reviews Roundup. The Nikon D610 is available body-only for $1,296.95, or with 24-85mm f/3.5-4.5G ED VR lens for $1,696.95. Below are the best 50mm Standard Prime Lenses for Nikon D610. The top 4 lenses in our recommendation are the Nikon 50mm f/1.8G, AF Nikkor 50mm f/1.4 D, Sigma 50mm F1.4 EX DG HSM, AF-S Nikkor 50mm f/1.4 G.
The best lenses at 85mm, 105mm focal lengths are shown below for the Nikon D610. The best performing prime is sure the latest Zeiss Otus 1.4/85 in the world with a higher price tag. The Nikon AF-S Nikkor 85mm f/1.8G, the Nikon AF-S Nikkor 85mm f/1.4G are the best choices. Sigma 85mm F1.4 EX DG HSM lens is also a good choice as this lens is half the price of Nikon’s equivalent and performs closer to the 85mm f/1.4. Samyang 85mm f/1.4 Aspherical IF is another good one if you prefer cheaper lens. It lacks of autofocus ability but if you manual control the lens then you will have such a low priced lens. 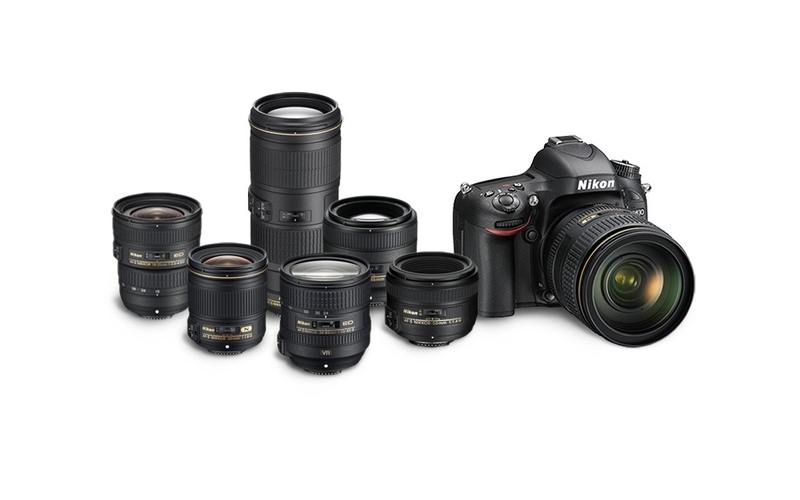 Nikon AF-S Nikkor 24-70mm f/2.8G ED is the best choice for a standard zoom lens in Nikon’s FX lineup. The lens is sharp across its zoom range, focuses quickly and accurately, and has a sturdy build but it is a very expensive lens. The newly released Tamron SP 24-70mm f/2.8 DI VC USD lens performs better than AF-S NIKKOR 24-70mm has great performance too and it is cheaper. The best performing 70-200mm telephoto zoom lens on Nikon D610 is the Tamron SP 70-200mm f/2.8 Di VC USD lens. Tamron SP 70-200mm f/2.8 is much cheaper than AF-S Nikkor 70-200mm f/2.8G and provides great image quality. The latest Nikon 70-200mm f/4G ED VR is also a great lens compared to the AF-S 70-200mm f/2.8G II. Below are top rated 70-200mm telephoto zoom lenses for Nikon D610 camera. The 70-300mm telephoto zoom lenses as we call them “kit lenses” are generally cheap lenses that offer a decent focal length. Below are the recommended kit leses for Nikon D610. Below are the recommended telephoto prime lenses for Nikon D610. The new Sigma 120-300mm f/2.8 DG OS HSM, AF-S NIKKOR 200-400mm f/4G ED VR II and new released Nikon AF-S NIKKOR 80-400mm f/4.5-5.6G ED VR are great lenses. The Carl Zeiss Distagon 15mm f/2.8 lens is the best ultra-wide angle lens for Nikon D610. This lens provides highest sharpness levels with the best image quality. We have to underline that this lens doesn’t offer any AF and it is a manual lens. If you are looking for a cheaper solution then the Sigma 20mm f/1.8 EX DG ASP will be a good choice. According to DxOMark and web reviews, the Sigma 35mm F1.4 DG HSM A lens is the best for wide-angle prime. And for a cheaper soluiton AF-S NIKKOR 28mm f/1.8G fits very well with the FX-format D610. The Carl Zeiss 35mm f/1.4 is a manual model and comes with no AF. The Nikon AF-S NIKKOR 24mm f/1.4G ED is another good wide-angle prime lens but with an expensive price. Nikon 14-24mm f/2.8 lens is the king of Nikon’s wide-angle zoom for full frame cameras and a lens you’ll see in the bag of many professional photographers. For a cheaper lens recommendation new released AF-S NIKKOR 18-35mm f/3.5-4.5G ED , Tokina AT-X 16-28mm f/2.8 PRO FX Nikon and Nikon AF-S Nikkor 16-35mm f/4G ED VR lenses are sharp enough to use with D610. For value your money Tokina AT-X 16-28mm f/2.8 PRO FX Nikon will be the best choice for Nikon D610. As this lens is $500 cheap to the Nikon’s 16-35mm and performs 2 points better. Nikon 16-35mm has a vibration reduction system included, but for wide-angle photography this is usually less useful. AF-S VR Micro-Nikkor 105mm f/2.8G will be the best choice as a macro lens for Nikon D610. This lens has a better price with outdoor macro length and performs great on D610. Zeiss Makro-Planar T 100mm f/2 ZF2 is also a best performer but it is an expensive lens.